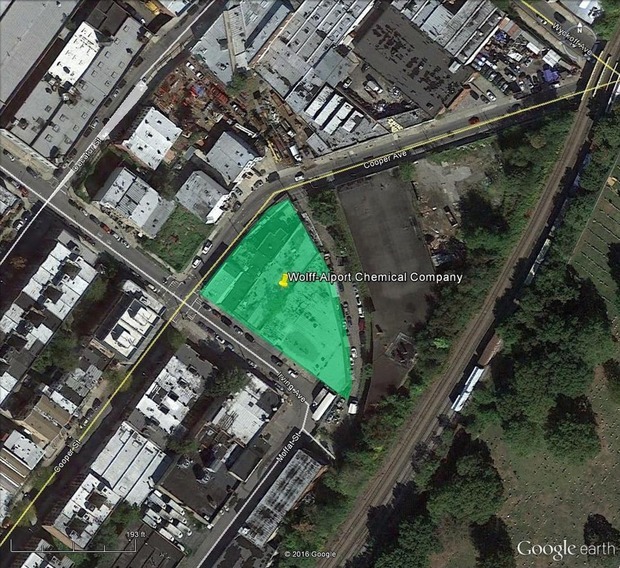 The U.S. Environmental Protection Agency (EPA) now has a final plan in place for what they will do to clean up the Wolff-Alport Chemical Company Superfund site, Ridgewood’s radioactive hotspot. After several studies, tests, community outreach meetings and a comment period the EPA has identified several buildings on the former Wolff-Alport site, located on Irving Avenue between Cooper Avenue and Moffat Street on the Queens/Brooklyn border, as well as soil from on and off the site and adjacent sewers, that have been contaminated with radioactive materials. On Sept. 27, the EPA announced its final plans for the Superfund site, which include: the permanent relocation of six commercial businesses and the residents above one of those businesses; the demolition of all the contaminated buildings at the location, the cleaning/replacing of contaminated sewers, and the excavation, removal and off-site disposal of approximately 24,300 cubic yards of contaminated soil, sediment, and debris. The property currently holds six parcels of land with five buildings that house several small businesses, office spaces, warehouses, and residential apartments. The EPA will support and assist the on-site tenants with the relocations as part of its cleanup plan. Those businesses and apartments were allowed to stay on the site until now because back in 2012 the EPA, along with state and city agencies, took steps under its emergency response authorities to reduce the public’s potential exposure to radiation. That work included installing a radon mitigation system at one of the on-site businesses that reduced radon levels to below the level of concern, as well as the placement of concrete, lead, and steel shielding on top of several building floors and on a sidewalk. To date the EPA has already spent nearly $3.5 million at the site, and this cleanup plan is estimated to cost an additional $39.9 million. Before this plan was finalized, the EPA held a public meeting in Brooklyn on Aug. 16 and accepted comments on the plan for 30 days. For more information on the Superfund site, visit the EPA website.